Travel can be about different things for different people but let’s face it; virtually nobody views the subject of banking as one of the more glamorous aspects of travel. It just doesn’t have the same appeal as exotic things like glorious sunsets, superb dining, stunning panoramas, unforgettable adventures etc. If you’re on a short vacation or trip, then yes, banking fees incurred from overseas transactions probably won’t make a huge impact on your overall annual expenses. However, if you’re already a long-term traveller or you wish to one day be able to sustain a nomadic lifestyle abroad, then you’ll want to pay attention to this article. For those who are travelling abroad for a long period of time, banking fees really do add up. This is because travellers generally face a number of additional fees that non-travellers don't have to deal with. We’re talking hundreds of wasted dollars each year if you don’t yet have this issue fully resolved. Sort out the problem and you’ll have more disposable cash to invest in more awesome travel experiences and you’ll find it a lot easier to sustain the nomadic lifestyle long-term. Let’s take a look at these fees in more detail and see what can be done to minimize or avoid them entirely. This is a flat fee that many banks charge their own customers for making ATM withdrawals abroad. Usually ranging from $1 to $5, this charge is levied by your bank each and every time you make a withdrawal from a foreign bank’s ATM machine. You can try to avoid cash altogether and pay with your card more if you’re travelling in countries where this is a viable option (not so viable in developing countries), but that approach might not always save you much since you may also have to contend with pesky card processing fees. Another option for obtaining cash without incurring any ATM withdrawal fees is cash back. When you make a debit card purchase in certain stores, you may be able to get cash back using your debit card. If the card-processing fee for the debit card purchase is negligible, this approach could save you money. Remember however, that there’s usually a limit to how much money you can withdraw in this manner and this facility is not available everywhere. There are also some bank accounts that just won’t be subjected to this fee. The best option of all really is to set up the right account that waives most or all ATM withdrawal fees. You might want to check out our related article about the best debit and credit cards for travellers. This is the charge for ATM withdrawals that is levied by the foreign bank that owns the ATM machine that you’re withdrawing from. It’s almost always a flat rate fee that generally ranges from $0-$7 per withdrawal. Watch out for these fees particularly in Southeast Asia and North America. The highest fees we have encountered in Asia so far are in Thailand, where the entire banking network seems to be involved in a conspiracy to profit from foreign tourists making ATM withdrawals. Last time we were there, virtually every bank (except Aeon) was charging 200 baht (6 USD) per withdrawal. This fee can be very annoying, as it’s one of the toughest fees to avoid. The Charles Schwab High Yield Investor Checking Account reimburses account holders for this expense but unfortunately only U.S citizens can open a Charles Schwab account. - Join a bank that’s a member of the Global ATM Alliance and try to avoid withdrawing from ATMs outside this network whenever you’re travelling. However, you have to be careful here, especially with Bank of America, as they only waive the fee in specific coverage areas. - Withdraw larger amounts of cash at a time to minimize the number of foreign bank ATM withdrawal fees incurred each week or month. This can of course be an exercise in frustration if the ATM machine or your bank imposes low one-time withdrawal limits. - Research the banks in the country you’re visiting and only use the ATMs that are free or cheapest to withdraw from. Some useful information can be found online in travel forums although it can often be difficult to find comprehensive or truly up-to-date information about the fees imposed by all the different foreign bank ATMs. Trial-and-error will often be necessary. - Set up a foreign bank account if you’re living in a foreign country for a few months rather than just visiting on a tourist visa. 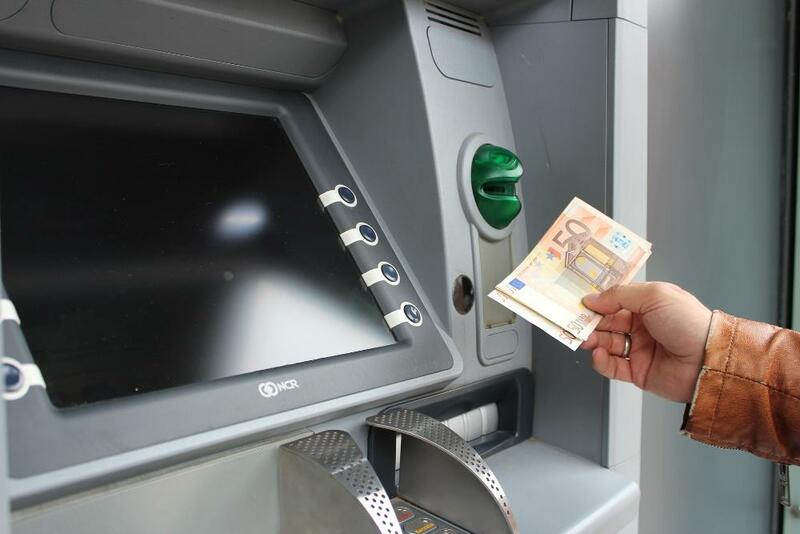 Many bank accounts will waive ATM withdrawal fees for their own customers if withdrawing through one of their own ATM machines. - Try making an over-the-counter withdrawal with your debit card. Some banks in Thailand for example charge a 200 baht ($6) ATM withdrawal fee but allow you to withdraw cash free of charge over the counter. However, the banks where this will actually work are few and far between and a lot of trial and error will be required. Whenever you make a payment in a foreign currency using your debit or credit card, you may get stung with this fee. The fee may even be incurred when paying online in your home currency if the payment happens to be routed through a foreign bank, which is quite alarming to say the least. There are actually two components to the foreign transaction fee. The first component of this fee is levied by the card network (Visa, Mastercard etc.). For both Visa and Mastercard for example, the charge is 1% of the transaction amount. The second component is also a percentage-based fee but this is levied by the card issuer or in other words, your bank. The fee your bank tacks on will usually be about 1-3% of the payment amount. The total foreign transaction fee appearing on your account statement would therefore normally be the sum of these two fees. Foreign transaction fees are also frequently levied with debit card ATM withdrawals. It depends on the individual bank and while some banks only charge the international ATM withdrawal flat fee, others will omit that fee and instead charge a foreign transaction fee instead. Other banks charge both fees. The worst-case scenario for the traveller therefore is getting stung with all three of these ATM related fees every time they make a withdrawal. There are plenty of credit and debit cards out there that completely waive all foreign transaction fees (meaning they also absorb the 1% network fee for Visa & Mastercard). The only real way to fully circumvent this fee is to get yourself the right card. See our page discussing the best debit and credit cards for travellers. Many years ago, free checking accounts were commonplace and sometimes financial incentives were even offered by banks to encourage customers to open accounts. However, that has all changed in recent years and nowadays most banks charge significant yearly or quarterly account maintenance fees to their customers for simply have an account opened with the bank. Travellers and non-travellers alike are both equally affected by these fees depending on what account they have. The only way to avoid this one is to get set up with the right bank account. There are a select handful of great accounts out there for travellers that completely waive the account maintenance fees, along with many of the other difficult-to-avoid banking fees. Head on over to our article about the best debit and credit cards for travellers where we detail several checking accounts that charge no account fees. Another common banking fee that many unwary travellers fall prey to is the fee incurred by paying for foreign goods and services or making ATM withdrawals in their home currency while abroad. In fact, DCC is not just a banking fee, it’s a dishonest scheme that takes advantage of unwary novice travellers that don't know any better. To explain what DCC is in more detail; merchants (both online and on the streets) and even some foreign bank ATM machines will often offer you the option of being charged in your home currency as opposed to the local currency. This allows the ATM machine or merchant to make up their own fictitious exchange rate, which is guaranteed to be dramatically worse than the mid-market (official) exchange rate. If you opt to be charged in your home currency, you’ll guarantee the bank a tidy profit from your ignorance. Many inexperienced travellers fall for this trick, thinking it will allow them to avoid a currency conversion fee from their own bank. However, many banks will still charge a currency conversion fee (it might be 2% instead of 3%) even if the payment is made in the home currency! Even if your particular bank doesn’t charge a currency conversion fee in the case of using DCC, it’s still probably a bad idea; the money you lose from the appalling exchange rate set by the merchant/ATM machine can often exceed the 2-3% foreign transaction fee charged by your bank! Always opt to pay in the local currency. By opting to pay in the local currency, you let your bank manage the conversion instead, so that you get the much better mastercard or visa exchange rates. If DCC is somehow cheaper for you than paying in the local currency (highly unlikely), your best option is not to continue using DCC but rather to change to a card that waives foreign transaction fees. See our article on the best debit and credit cards for travellers for a list of cards that don't charge foreign transaction fees. Exchanging currency formally, whether through a bank, agent or a currency exchange booth is always something to be avoided as much as possible, because there is always a charge associated with it. The charge is there whether the service has a ‘no commission’ policy or not because it’s padded into the poor exchange rates that you're offered. You can estimate by how much you're getting suckered by comparing the 'buy' rate with the 'sell' rate for a particular currency. The greater the difference, the more profit is being made. 1) They want to have some local currency to hand when first arriving in a new country because they’re afraid they won’t be able to get cash from an ATM at the airport or land border crossing point. Local currency may also be required to pay for a visa-on-arrival before even having access to the ATM machines beyond the immigration checkpoints. Some people might also be unsure about the viability of withdrawing from ATMs in the country in general with their particular card(s). 2) They have some excess local currency leftover when their tourist visa expires and they want to convert it to the currency of the country they’re travelling to next. This is a practical thing to do with leftover currency unless you plan to return to the country again soon. 3) Most banks (In countries such as Myanmar & Thailand) charge foreigners a very high fee for ATM withdrawals and this is often combined with a very low maximum withdrawal limit; under these circumstances some people may find it less expensive to physically carry a large amount of their home currency or US dollars to convert into the local currency, instead of making frequent costly ATM withdrawals. 4) They have a long layover at a connecting airport where all the restaurants and food shops are priced in a foreign currency that they don't possess. Changing a small amount of some currency that you already have may in this case be cheaper than making an ATM withdrawal at the airport or paying by card (if you will incur fees for these services). Most of these reasons are legitimate enough and no matter how hard you try to avoid it, you probably will occasionally need to convert at least some currency if you travel for several months to a wide variety of countries and destinations. The trick then is to try to get away with exchanging as little money as possible while you travel the world because the more money you exchange, the more money you lose. The other part of the equation is getting the best exchange rate whenever you do have to change currency. - You should never change money at an airport unless it’s an emergency as, with few exceptions, they generally have the worst possible rates. Always shop around a bit for a good exchange rate if you need to convert currency and compare the rates of the major banks with those of the currency exchange booths before making a final decision. - Download the XE currency app on your smartphone. This app even works offline and allows you to compare the exchange rate of the bank or exchange booth with the interbank or wholesale exchange rate. You can thus easily check how much the exchange service will cost you and avoid making a big mistake with the wrong service provider. - In many developing countries, you can actually haggle the exchange rate more in your favour, especially if the transaction is being carried out through an independent agent. Whenever you pay for something in a store or online using your debit or credit card, the merchant incurs a very complicated array of fees for the transaction, which can substantially eat into their profit margin. Many merchants absorb the costs for these transactions so as not to upset their customers but some will pass on the charge to you. To add insult to injury, some banks also charge their customers a fee for these PIN authorized or signature authorized card transactions. Some card networks prohibit merchants from passing on fees to the customer but visa and mastercard don’t so be careful if you’re using a card linked to these networks. If you’re paying in a store, beware that it may not always be openly announced by the merchant that you’ll be charged so it’s always good to ask if there’ll be a transaction fee. If your bank charges you its own fee for card payments in stores, you really should consider changing to a bank that doesn’t charge. Also, if you can get yourself a debit card that allows for free or almost free ATM withdrawals anywhere in the world, then withdrawing from an ATM and paying in cash may be cheaper for you than paying with your card. - Avoid withdrawing from ATM machines in random places. ATM machines inside mini-marts, hostels, hotels, 7/11 stores and other unusual locations should be avoided like the plague. These ATMs may use an inflated exchange rate, swallow your card or fail to dispense cash while still debiting your account. You should only really use these ATMs as a last resort; always first try the ATMs outside well established and reputable banks, even if it means less convenience. - Remember to notify your bank before you go abroad to ensure they don't block your card when you suddenly start making ATM withdrawals from another country. - Have two bank accounts or cards at the minimum while travelling. That way, if one card is ever lost or stolen, you at least have a secondary bank account to use until you receive a new replacement card.